Last year, Jeep had a fun contest where they hid Jeep Travel Bugs all across the U.S. and with the aid of a GPS, you could participate in their game to win fun prizes. This year, there’s no such game (yet), but they do have an online version of Jeep geocaching that they’re letting people download and play for free. 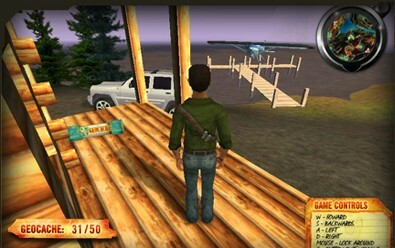 This is a serious game for diehard Jeepers though… it’s a 63 MB download! Free? Yes. But this is not a game to be taken lightly. Explore the terrain in one of 4 Jeep vehicles: 2008 Liberty Limited, 2007 Grand Cherokee Limited, 2007 Commander Limited, or a 2007 Wrangler Rubicon. Hop out of your Jeep vehicle at any time to access hard-to-reach areas on foot. You must collect the cache to unlock postcards and e-mail them to your friends. Compete in 5 timed “mini-missions” and get your score on Jeep’s global leaderboard.